The robot uprising is right on schedule as evidenced by Boston Dynamics' latest "nightmare inducing" videos of their autonomous creations. In one, their humanoid robot Atlas can be seen running through a field as if in hot pursuit of John Connor, while another video shows "spot mini" prancing around - going up and down stairs, ominously. "During the autonomous run, SpotMini uses data from the cameras to localize itself in the map and to detect and avoid obstacles," reads the video description. "Once the operator presses 'GO' at the beginning of the video, the robot is on its own." 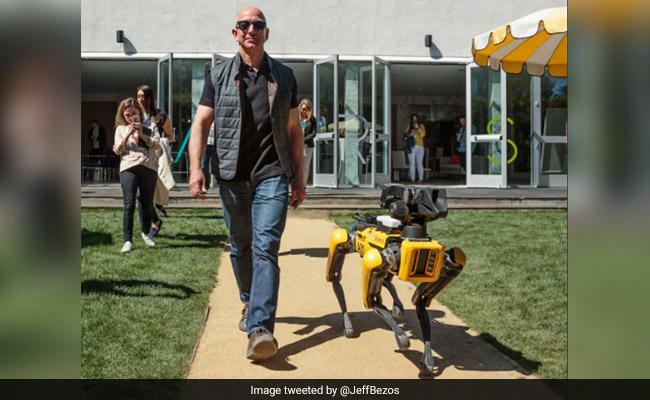 Even Boston Dynamics founder, Marc Raibert, admitted that the robots are creepy in a February 2017 demonstration of a wheeled robot, saying "This is the debut presentation of what I think will be a nightmare-inducing robot if you're anything like me." Dear Boston Dynamics - do you want the Matrix? Because this is how you get the Matrix.